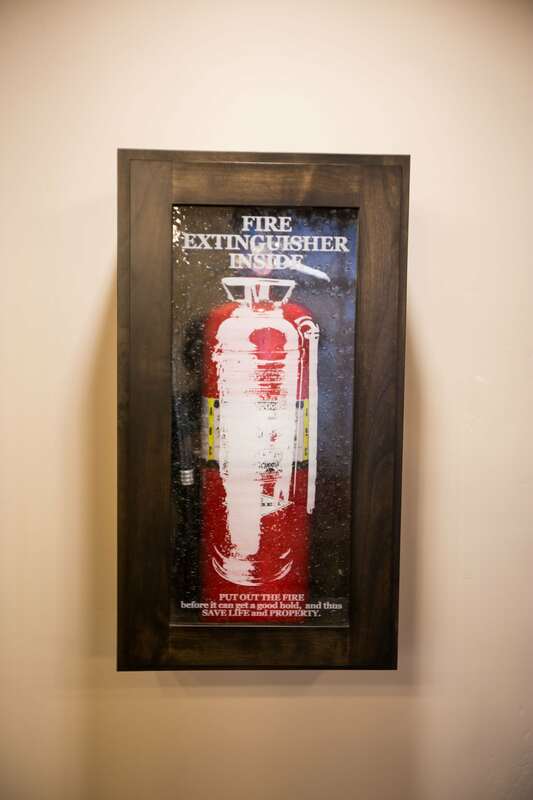 Here is a simple way to dress up a fire extinguisher box. 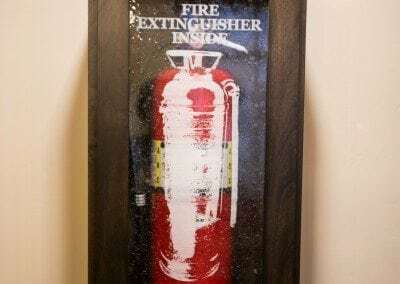 We used a seeded glass in the door and laser engraved a custom frosted design into it based on an antique fire extinguisher photo. 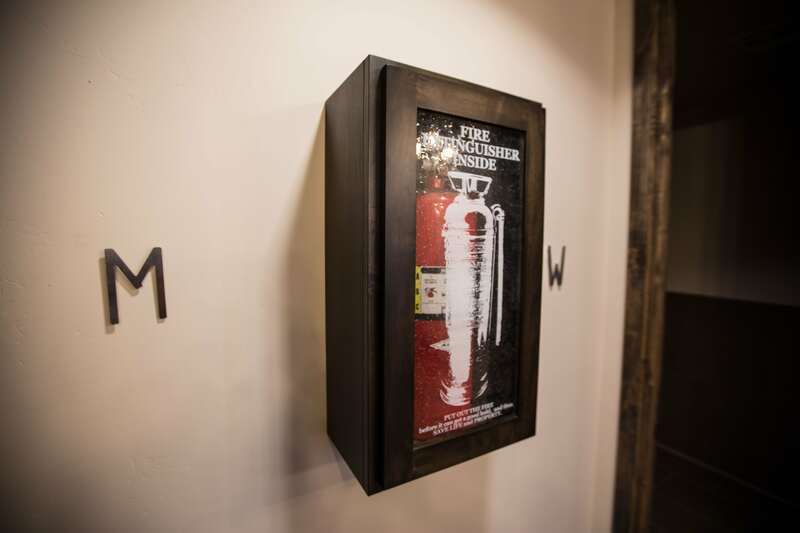 The result is a much more refined look to an otherwise everyday object. The box is in the same knotty alder and its color palette as the rest of the office’s furnishings we supplied.